Of the five plays that are being performed, at least one, may have been lost to time had it not been for the efforts of a group of Jacobean publishers, who in 1623, seven years after Shakespeare’s death put together the first collected edition of his plays into what became known as The First Folio. There are only 233 authenticated copies in existence today. 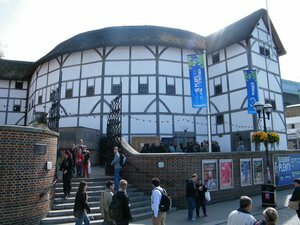 As Stephanie discovered in The Carlswick Deception, perhaps one of Shakespeare’s most famous plays, Macbeth, (being performed at the Pop Up Globe during February and March) may have not survived without the existence of the First Folio.